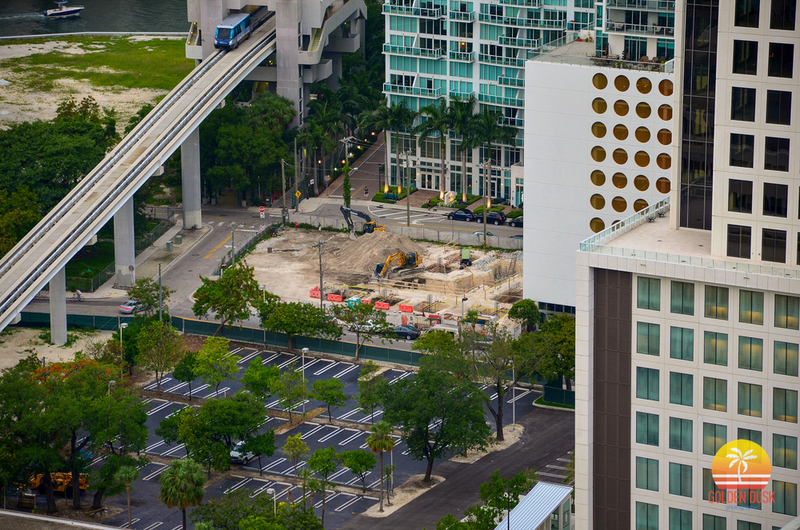 Developed by The Related Group and designed by Karim Rashid, MyBrickell was the first condo to break ground in Miami since the real estate crash. Ground breaking started in March 2012 and was recently completed in January 2014. Rising 28 stories and located steps from the future Brickell City Centre, MyBrickell has definitely brought some color and interesting designs to Brickell. Below are photos of the construction progress.